Will an iPage Directory Listing Help My Business? Search Engine Optimization (SEO) is one of the most important things you need to consider when setting up a website. Driving more traffic will make your website succeed in the vast World Wide Web. An SEO-friendly website could spell potential and higher earnings. One of the best ways to enhance traffic is to submit your website to web directories. iPage can help you get more traffic to your site through their Community Directory Listing. They will promote your website to iPage’s visitors every day, and your site can easily be accessed in search engines like Google and Bing. Am I planning to generate revenue from my website project? Do I have any other promotion strategies planned apart from iPage’s directory listing? Is $29.95 too costly for something like directory listing? Directory listing is a feature that determines the amount of traffic/response your website is getting in the World Wide Web. It shows the number of visits your web pages are able to obtain at a certain period of time. In directory listing, the web hosting service provider submits your website’s URL to a trusted directory like Google or Yahoo. These directories will then arrange your website and place it on the appropriate category based on your content. This makes it easier for search engines to index and display your website in search results. Directory listing is similar to yellow pages because it helps users find and view your website a lot faster than if you’re not included in a directory. It’s included as a value-added service in most web hosting packages. However, if you really want something more widespread to help boost your brand’s online presence, you should go for iPage Community Directory Listing. iPage’s Community Directory Listing is a directory of registered websites or domain names that are hosted by iPage. They offer this feature to their clients to help them promote their websites. By listing your site to their community directory, there’s an even greater chance for you to get more visitors, which in turn will increase your site’s search engine rankings. Once you have your site listed in the Community Directory, you can view it in the listed category along with your domain name and a short description of your site. People will also easily find your site in search engines like Google, Bing, and Yahoo. 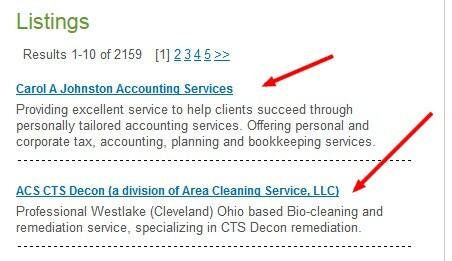 Will Directory Listing Really Improve My Website’s SEO? That’s basically telling Google and other search engines that they shouldn’t give weight to that link. At first glance, this is TERRIBLE. Why would I pay $29.95 for a link that isn’t really a link?! iPage is protecting their directory from being viewed as a valueless link farm. Nofollow is not surprising. With that said, there are plenty of strong directories that don’t use nofollow. They also cost a ton. Yahoo? $300/year for example. But it can help with your SEO. If you don’t already have a good mix of nofollow links to your site, it’s good to buy this directory listing. If your site already has a good balanced backlink profile, don’t buy the directory listing. 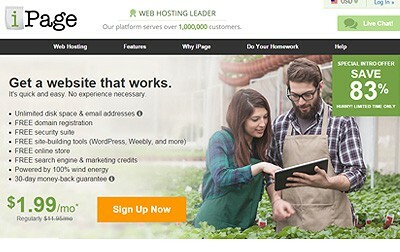 iPage is a good shared hosting platform with hand-holding tools for newbies, and the power/flexibility for more advanced web developers and business owners. Thanks for sharing about local business directory. I was so confused what actually it is. Thanks again.